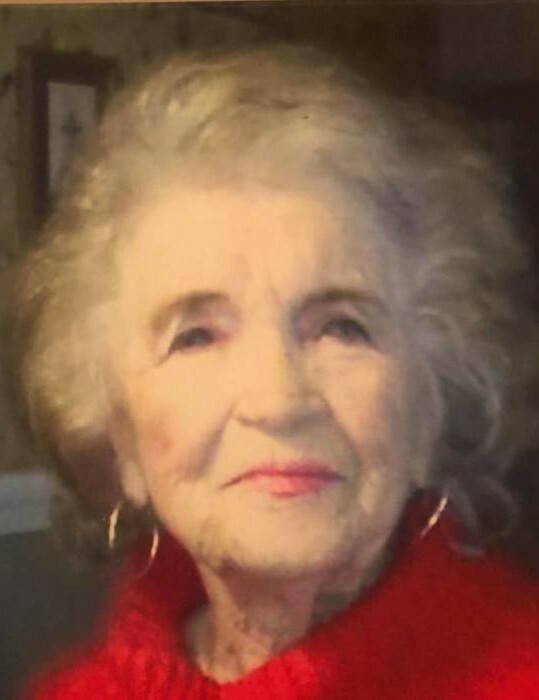 Mary Louise Whitmire Mason, 91, a native of Dalton, Georgia and resident of Citronelle, Alabama passed away peacefully Tuesday, November 13, 2018 at her home. She was a member of Temple Baptist Church and a loving mother and grandmother. Mrs. Mason, along with her late husband, J.C. Mason owned Mason’s Wrecking Company and she retired from International Paper Company. She enjoyed stock car racing, especially watching her husband and sons race throughout the years. She was preceded in death by her husband of 35 years, Julian Charles “J.C.” Mason, Sr.; son, J.C. Mason, Jr.; daughter, Polly Jeanne Mason; her parents and siblings. Those left to cherish her memory are her children, Catherine “Kathy” Mason Copeland (Pat), Mary Ann Drinkard (Dale, Sr.) and Okie Mason (Brenda); grandchildren, Patrick Copeland, Jr. (Tammy), Dorrie Waters (Kenny), Virginia Drinkard, Dale Drinkard, Jr., Katherine Michelle Mason, Joy Blackwell (Shannon), Alan Jason Mason, Daniel Jay Mason, Alana Leann Mason, Manzie Michelle Rivers (Brian), Racee Cheyenne Young (Clyde) and Miracle Rivers; great grandchildren, Bree, Kelsey, Kenley, Konner, Kolden, Alan, Brandon, Tyler, Dillon, Jayden, Mason, Bryson, McKaylie, Hayden, Blaklie, Caseton, Dakota, and Lilly; other relatives and friends. The wake will be from 6-9pm Thursday, November 15, 2018 at Freeman Funeral Home. The graveside service will be held at 10:30 am Friday, November 16, 2018 at Serenity Gardens in Waynesboro, Mississippi with Rev. David Tarvin officiating. Online condolences may be given at www.freemancitronelle.com. Freeman Funeral Home – Citronelle, Alabama.